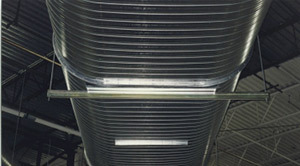 AccuDuct Manufacturing began providing products to the HVAC industry in 1987. 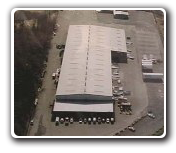 Since then, we have grown from a local spiral pipe and fitting supplier to a nationally recognized, leading manufacturer of labor saving duct systems and sheet metal components. 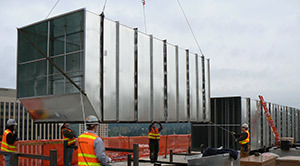 From 6"x6" to 220"x72", we can handle the smallest and the largest rectangular projects. Our rectangular duct and fittings are manufactured from a variety of gauges and materials including galvanized, galvaneal, aluminum, PVC coated, stainless steel and carbon steel in singlewall, lined and doublewall configurations. From 12"x6" to 133"x48" and 98"x60", we offer the largest oval spiral size capacity in the world. 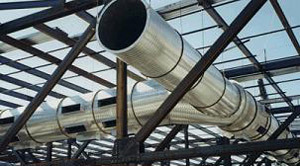 Oval spiral pipe, longseam pipe and fittings are manufactured from a variety materials including galvanized, galvaneal, aluminum, PVC coated, stainless steel and carbon steel in singlewall and doublewall configurations.